Following six years of experience with the Natural Resources Conservation Service, Iowa native Matthew Frana will serve as the project coordinator for the Upper Iowa River Watershed (UIRW). 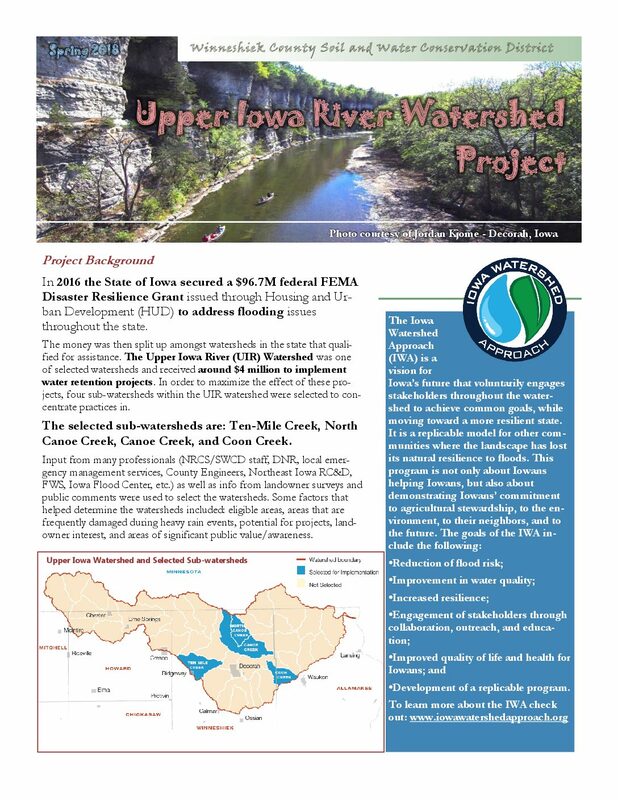 In this new role, Frana will work with the UIRW to facilitate watershed planning activities, manage the implementation of flood resiliency conservation projects, and share information with the public across the watershed to ensure the program’s effectiveness. He will help identify suitable locations to install conservation practices designed to retain water and reduce flooding, as well as assist landowners as they work to reduce soil and nutrient loss while enhancing wildlife habitat. Originally from Conover, Iowa, Frana received a BA in general studies and a master’s in ecosystem management from the University of Northern Iowa. We caught up with Frana to discuss his new position. A: I spent three years as a soil conservationist for the Natural Resources Conservation Service in Osage, Iowa. Before that I spent about three years as a wetland specialist for the NRCS, split between Muscatine and Boone, Iowa. I also worked with the Americorps/DNR as a habitat specialist out of West Union, Iowa, and as a biological technician for the National Park Service at Effigy Mounds in Harpers Ferry, Iowa. Q: What do you hope to accomplish in your role with UIRW? 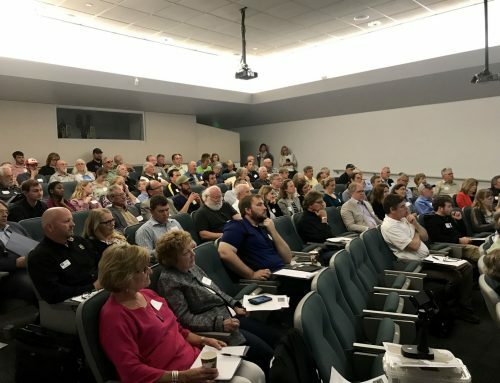 A: Mainly to help address the goals of the Iowa Watershed Approach, which are to reduce flood risk, improve water quality, increase flood resilience, engage stakeholders, and improve the quality of life and health of people within the watershed, while developing a program that can be replicated throughout the Midwest and nation. By doing so, I hope to contribute to a community of people who takes great pride in this part of the state by assisting with the process of improving resilience and sustainability. A: A friend of mine told me about it. I actually grew up in the watershed, and spend a lot of time kayaking, fishing, hiking, and camping in it. I’m looking forward to giving back to an area that I’ve gotten so much enjoyment from by promoting efforts to protect and enhance it. Q: Is there anything you’d like to tell the Upper Iowa River WMA and IWA partners? A: I’m looking forward to meeting everyone involved and seeing how we can all come together to accomplish the goals laid out by the IWA. A: Zen and the Art of Motorcycle Maintenance, by Robert M. Pirsig. A: I’ve always enjoyed dabbling in art through various media, but really enjoy messing around with photography.